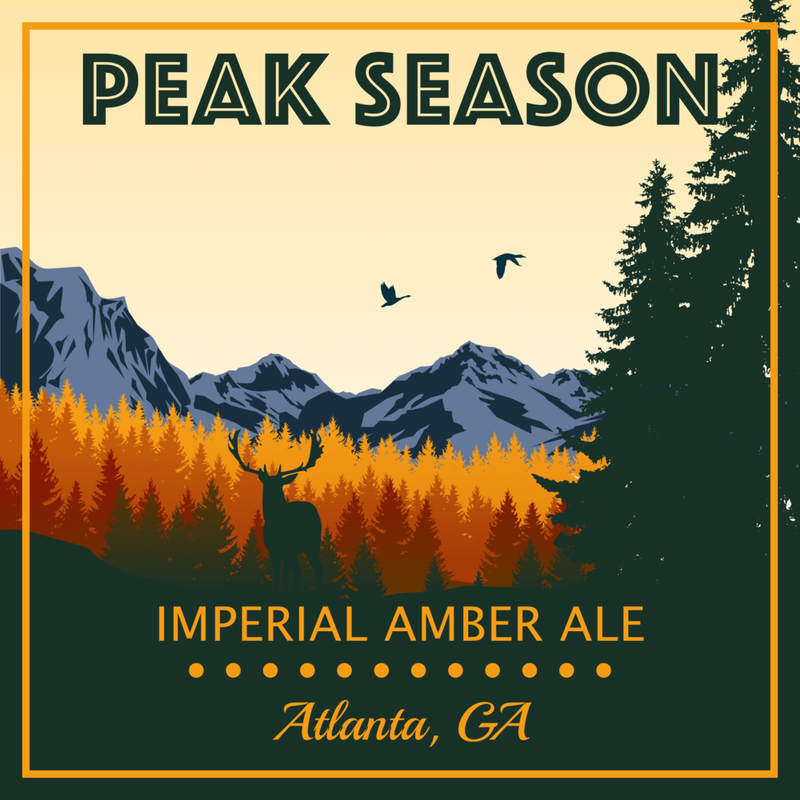 Introducing Peak Season, our newest limited release! This high gravity, Imperial Red Ale was created with fall in mind. Everyone’s favorite season needs a new favorite beer. Peak Season is dry hopped with Simcoe hops, giving it a piney citrus nose. Four different types of malts give it sweet notes of toasted bread and raisin, but with a bitter hop balance and smooth mouth feel. This brew ends with a slight boozy punch indicative of a high ABV at 8%. The Imperial Red will be available on draught at the peak of the fall season. Look for it in our Tasting Room as well as your favorite neighborhood bars and restaurants. Enjoy a glass on the patio after a hike or bike ride around town, or grab a growler to share with friends around a campfire. Peak Season is the perfect season.